There is increasing evidence of a link between inflammation, brain function, and treatment resistance in the mood disorders. Obesity is also linked to inflammatory processes and thus may contribute to the development of treatment resistance in both unipolar and bipolar mood disorders. 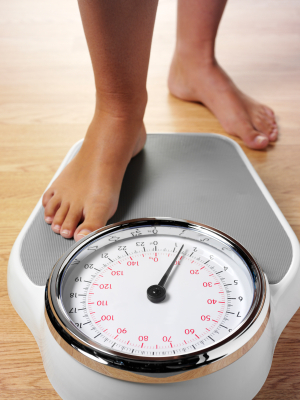 Obesity is one factor that can lead to increases in inflammation. When people gain weight, the size of fat cells can increase to the point that the cells are deprived of oxygen and disintegrate. Then macrophages and other cells come in to sweep up the remaining particles of the fat cells. These scavenger cells then become activated and produce more regulatory chemicals called cytokines. The cytokines produced in the periphery (in the body outside the brain) can then enter the brain and affect brain function in a process that may ultimately be linked to fatigue, depression, and other adverse mood and behavior states that contribute to treatment resistance. There is a two-way street: the brain can influence the body and what goes on in the body can influence the brain. Other factors that can lead to increases in inflammation and eventually to treatment resistance in the unipolar and bipolar mood disorders include early life stress, medical illness, and anxiety and personality disorders. Given the close links between inflammation and depression (discussed in BNN Volume 15, Issue 1 from 2011), Andrew H. Miller of Emory University decided to test a specific anti-inflammatory agent called infliximab (a TNF monoclonal antibody that inhibits TNF alpha actions) as an antidepressant. One sign of inflammation is a C-reactive protein (CRP) level of 2mg/L or greater. The effect of infliximab on the population of treatment refractory depressed patients who participated in Miller’s study was not significant on the whole, but the drug did have significantly greater antidepressant effects than placebo in those patients with the highest levels of CRP. The investigators believe this demonstrates the principle that a drug that inhibits TNF alpha may be useful in patients with the greatest degree of inflammation. Other approaches to anti-inflammatory mechanisms are also being pursued, including use of aspirin, COX-2 inhibitors, and the antibiotic minocycline. Minocycline has anti-inflammatory and neuroprotective effects and has been reported to have positive effects in cognition and negative symptoms of schizophrenia.